Thanks for all those who came along to the talk last night at the Pensilva History Group, it was a great evening. For the group members who have found this blog-Welcome. Enjoy digging back through the posts. And has promised at the talk-here is that map of Phoenix United. This 1880s Ordnance Survey map should help make sense of the amazing photograph reproduced on page 124/125 of ‘The Last Great Cornish Engineer’.That photograph is taken from the west looking across the valley into the Phoenix United sett. For those passing through Cornwall, then pop into the Liskeard Bookshop, King Edward Mine or Geevor Mine to buy a copy of my books. To buy the books on line, or download the kindle publications then visit my Amazon store to browse through my books. George Stephenson did not invent the railway! Ask any group of people ‘who invented the railway’, and a large proportion will say,’George Stephenson’ . George Stephenson is credited to have invented the railway. However, this is yet another of those over simplified facts that are a scourge of our mass knowledge of history. George Stephenson’s Stockington and Darlington Railway opened in 1825, by which time Richard Trevithick had run the first steam locomotive (1804), and carried the first fare paying passengers with the Catch-Me-Who-Can locomotive in London (1808), in the vicinity of Euston. So, whilst George Stephenson may have produced the first successful railway, he does not hold the title of being its inventor. That must lie with Richard Trevithick. And what does this have to do with William West? The clue is on page 14 of ‘The Last Great Cornish Engineer‘. It is an interesting link between Trevithick and Mr.West, that the latter well remembered holding a candle to the great Cornish Engineer while the Catch-Me-Who-Can was in the process of construction;and was very proud of recalling the incident. 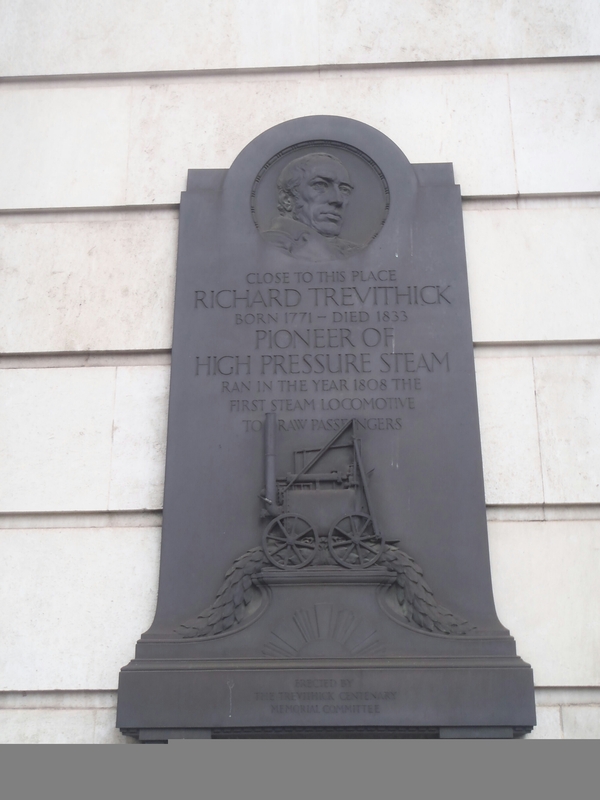 As a young boy West sat on Trevithick’s shoulder, has he worked away, designing the world’s first passenger locomotive. Maps are amazing, they jam so much knowledge about the past and the present into such a small space. I have no doubt that this blog will keep dashing down rabbit holes of maps-here is another one! No apologies for the diversion. This a copy of a map I produced for the interactive CD-ROM ‘The Liskeard Mining District in 1863‘. It is based on a wonderful piece of Victorian cartography, Brenton Symon’s 1863 map. Each of the mine setts is colour coded to indicate the status in 1863, forming a patchwork of colours across the landscape reflecting the mineral wealth beneath. Click here to see a list of my books available on Amazon. I have had a bit of pause in the preparation for the Pensilva talk, whilst putting together the latest East Cornwall Trevithick Society program. 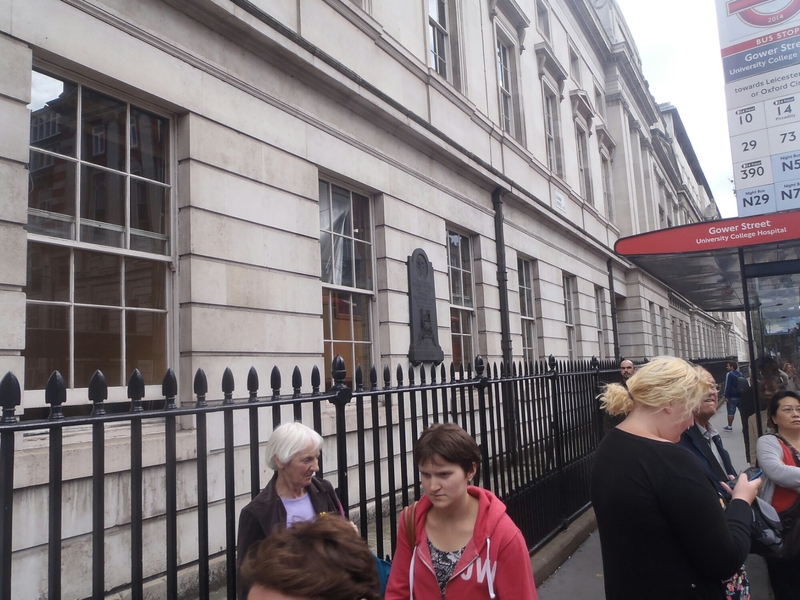 Quite a mix of talks and walks..pop across to my Trevithick Society blog for the latest version of the program. Now back to the William West Caradon Mines research. By the 1860s West’s name had become associated with high quality machinery, and was often used in mine agent’s reports attempting to ‘fluff up’ the prospects of their mines. Here is an such an example of a purser’s report. I beg to inform you that the new 45 in. Cylinder pumping-engine was put to work at Caradon Vale Mine on Tuesday last. The engine, by West and Sons, is a very superior piece of machinery, and has given great satisfaction. The flat-rod to be attached to the engine will also be set to work in about a fortnight; and as soon as the water is pumped from the shafts, the underground works will be carried on with vigour,-and from which the most favourable results may be expected. 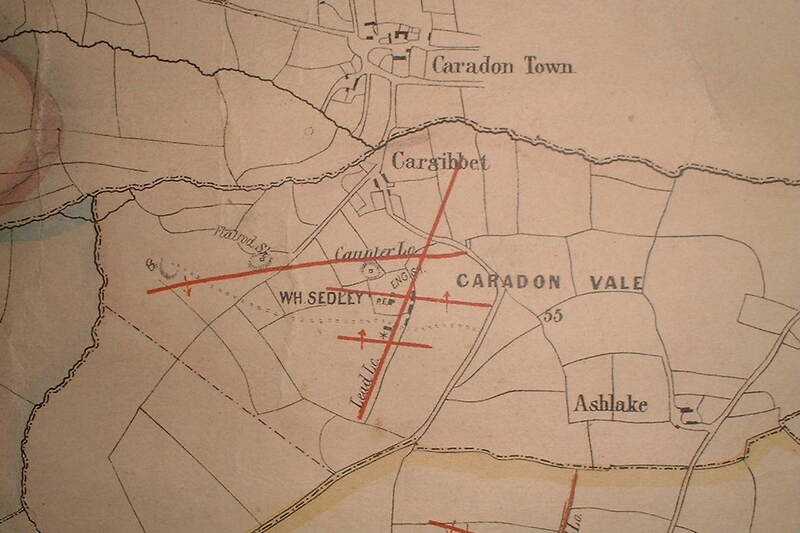 Caradon Vale was formed in 1862 out of Wheal Sedley, Cargibbett and Ashlake Mines. Caradon Vale’s location placed it on possible an extension of the rich East Caradon lodes. The mine was short lived, becoming idle by 1864 and put up for sale in 1865. 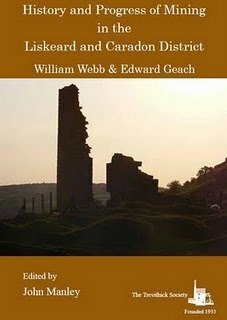 Webb and Geach’s book is called ‘History and Progress of Mining in the Liskeard and Caradon District’. Published in 1863, it describes the mines in the Caradon, Meneheniot, St. Neot and Herodsfoot areas. The Trevithick Society have republished Webb and Geach in paperback and it is avaiable from Amazon on the link below, or from the Liskeard Bookshop. I am currently re formatting and editing my CD-ROM version of Symons’s excellent map in an ebook (initially Kindle) format. Watch this blog for progress on that project. Time to start preparing for my talk at Pensilva. The theme of the talk will be linking the mines around Caradon Hill with the William West story. So, my challenge will be-to find interesting facts about as many of the mines as I can to illustrate West’s life. First problem to resolve- what mines did he work at, and where are they? 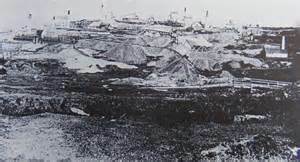 Mines in the Caradon Mining area where William West was an engineer, or provided machinery. The new book is a great excuse to get out and about, wandering around, meeting different groups. The next one on the calander is at Pensilva, up amongst some of West’s mines. Click here to visit the Pensilva History Group’s fascinating website, with all sorts of gems of information about the area. 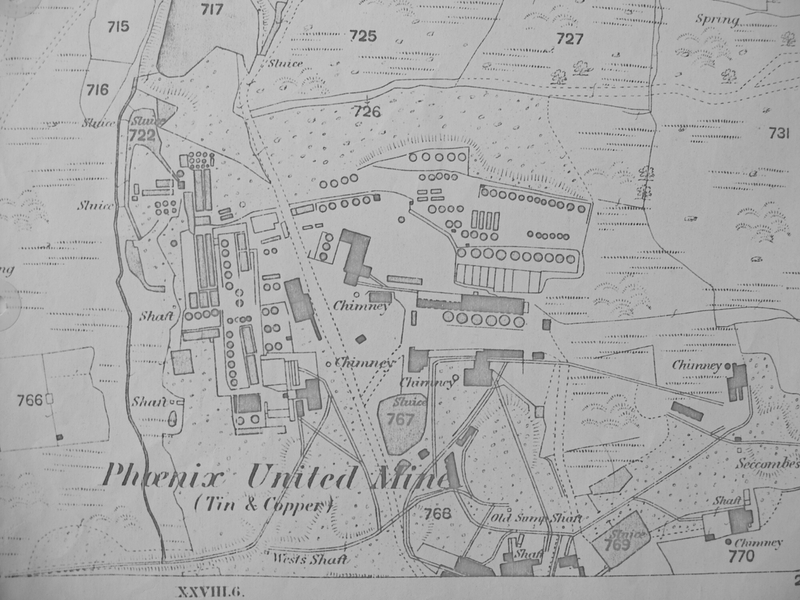 Amongst the bits and pieces of information is a nice potted history of Pensilva; a village which was brought into existence by the success of South Caradon and Phoenix United mines. The settlement at that time was called Bodminland. It was located on Silva Downs and when given the Cornish prefix ‘pen’, meaning ‘head’ or ‘higher side’ became Pensilva. It remained Bodminland until the late 1800s when the name was changed. An illustrated talk by John Manley of the Trevithick Society about William West the renowned mining engineer who had a great influence on mining in Cornwall in the 19th century. John has recently had a book published on the life of William West. Here is the last of the series of West’s engineering drawings. After this post I will start working on the next talk, up at Pensilva-so the blog will be slanting towards the mines in the Caradon area. This is he device described on page 91 of The Last Great Cornish Engineer. Its purpose is to transform steam power to hydraulic power, and thereby allowing its easy transmission around the underground workings of a mine. The accumultor consists simply of a strong cast iron cylinder fitted with a ram, from the cross heads of which weight boxes are suspended, loaded necessary, so as to give pressure of one thousand pounds per inch. 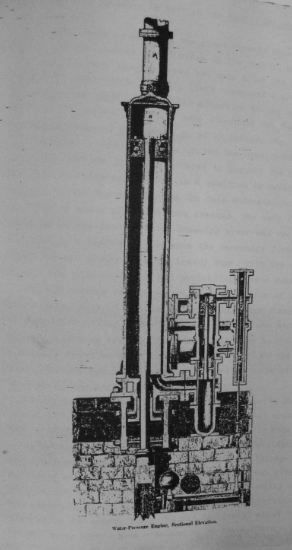 Wlliam West used this invention at Phoenix United Mine to gain access to parts of the lode, without the expense of sinking new shafts. I have just discovered another one of those gems of small independent Book Shops, stocking the new book. Pop in to the Wadbridge Bookshop if you are in the area and check out their local history section.